On our walking holidays in France and elsewhere in Europe, our philosophy is simple; we choose places that let you sample the local way of life. This means relatively small, independent family-run guest houses (includes B&B, auberges, hotels, gîtes, inns) where a warm welcome is guaranteed. The type of accommodation offered varies from holiday to holiday. Please check the holiday details for more information. The vast majority of the guest houses we use are special places with bags of local character. You will stay in quaint cottages, old farms, former mills, chalets, manor houses and even chateaux, all having been lovingly restored by their owners to provide small scale accommodation in harmony with their surroundings. 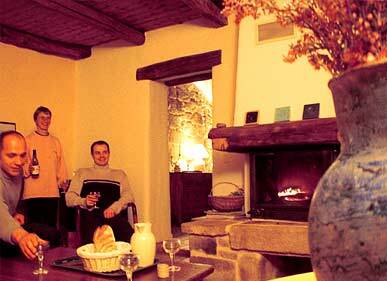 Many in France are “Chambres d’hôtes” style accommodation (the French version of B&B) or small independent hotels. We generally use 2 star and 3 star guest houses on our walking holidays, although local rating systems vary. However, as you will see from the holiday details, the guest houses often have a rustic character and charm that cannot be judged by a simple rating system. The majority of our chambre d'hotes are 3 corns rated, whilst our B&B's in England and Scotland are often 4 star tourist board rated. See details concerning the Gite de France B&B ratings for more information about French chambres d'hotes. 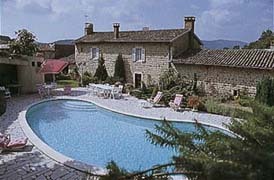 Each walking holiday description provides examples of the type of guest houses that are used. Because of the small, independent nature of many of the guest houses, we cannot always be specific in advance about which of the guest houses we will actually use for some walking holidays. Depending on the location of the walking holiday, many of your hosts will go out of their way to offer you that personal touch. Whether it’s information about the local area, showing you around their historic property, or a visit to their cellar to try the wine from their vineyard, they will take great pleasure in making your welcome extra special. In 2014 we launched our 'Accommodation of the Year' award to highlight those guest houses that have exceeded your expectations. 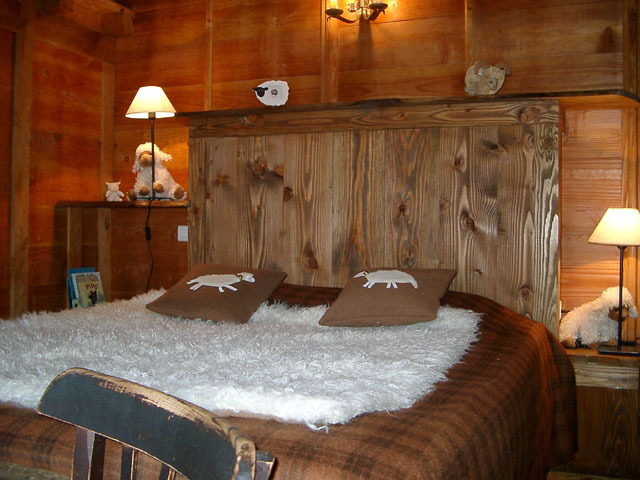 Why use Chambres d’hôtes (French B&B)? On our French walking holidays, chambres d'hôtes style guest houses provide an authentic local experience where the welcome is warm and genuine and the service personal. Your hosts will take great pleasure in looking after you during your stay. They are often in magnificent surroundings, in the heart of the countryside. 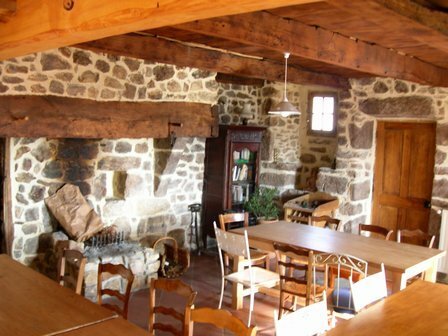 In addition, those that are run by Gite de France guarantee a certain level of quality, and have as their objective, the preservation and promotion of rural France and its traditional buildings. Please follow the links to see more information about a selection of the guest houses we use on our walking holidays in France. Some guided walking holidays include multi-day walks in remote areas, where gîtes or mountain refuges are employed. Such accommodation can be more rudimentary, where larger scale dormitories are occasionally used. Please consult individual holidays for more details. Our African treks use camping during the trekking. A hearty and healthy continental breakfast on our walking holidays provides the perfect opportunity to discover the local specialities. Depending on the particular guesthouse and the culinary inspiration of your host, you'll enjoy home-made jams and pastries, fresh farmhouse bread, local cheeses and dairy products, and regional cold meats. Pack lunches are usually supplied by your hosts and will take the form of a buffet or sandwiches using local fresh produce which will be eaten during the walk. Occasionally lunches will be taken in local restaurants. 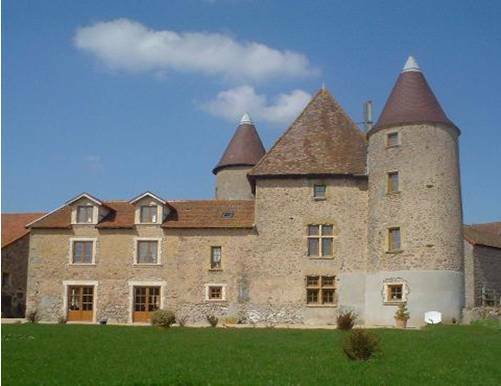 Lunches on our guided walking holidays in the Beaujolais region are gourmet affairs with wine included. Evening meals are either taken in your guest house or in a local restaurant where you will be able to sample the local delicacies. Meals in the French B&B’s are great experiences, where you share your table with your hosts and other walkers and travellers that may be staying in the guest house. You will enjoy a convivial evening with great food, washed down by the local wine. Many of your hosts on our walking holidays in France speak very good English, but if you’re at all worried about communicating at meal time, then you would be better suited to our guided walking holidays where our bilingual guide is there to make your stay more enjoyable. Of course, on our tailor-made holidays, we can arrange accommodation to suit your personal tastes. The Gîtes de France quality label guarantees that your accommodation meets specific standards of comfort (from 1 to 4 "ears of corn") and complies with the network's national charter. 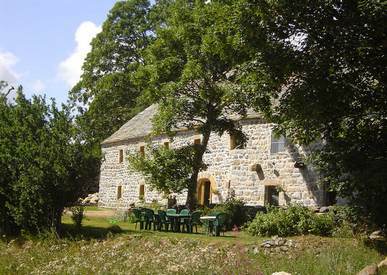 Gîtes de France guesthouses are inspected at least once every five years; the ratings vary according to the quality of the architecture and setting, the level of comfort and the services provided. For example, 3 ears of corn means well-appointed rooms, each with its own private, fully-fitted bathroom.